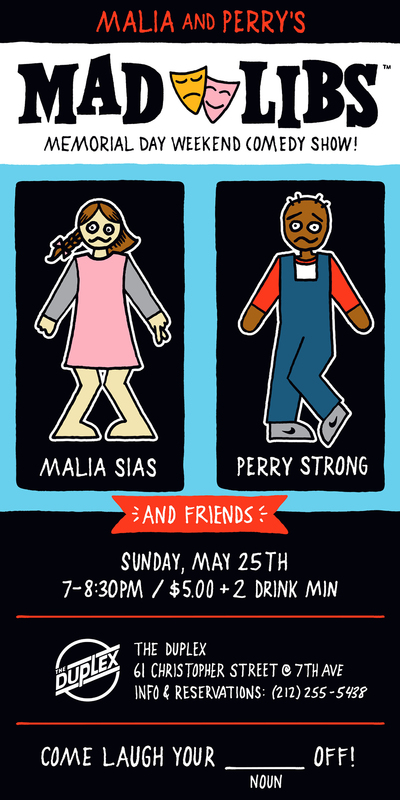 Malia Sias, Perry Strong and friends will telling jokes on Memorial Day Eve. A Show 50 years in the Making! 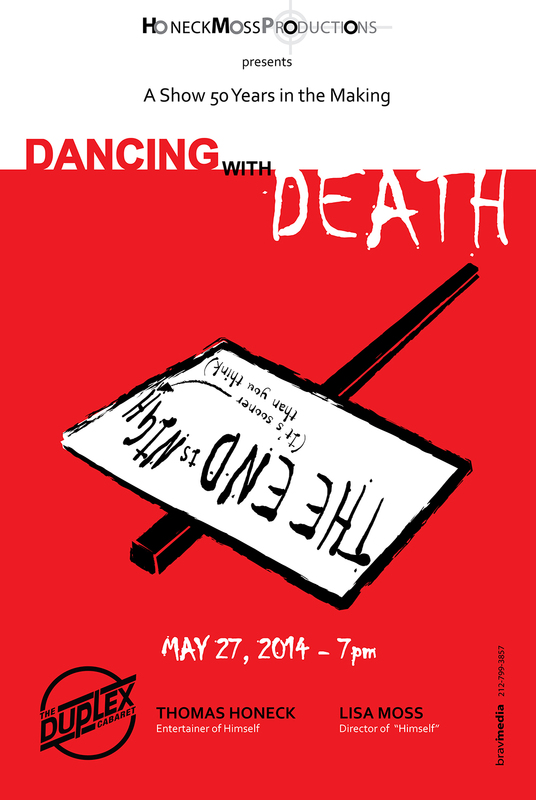 A ruminating rumba on his relationship with Death and how her choreography has influenced his life. The dance card will be one of Music, Merriment and Madness- well, just a touch. In lieu of a cover, please bring a check made out to “JDRF” (Juvenile Diabetes Research Foundation) or The ALS Association for a suggested amount of $15 (or what you can afford) – we’ll take cash or credit too, it’s just not a tax donation for you. And yes, there is a 2 Drink Minimum to help you through it all.